Although you can come close to imitating natural light, that imitation simply isn't the same. The combination of natural light and a long exposure time adds a quality to images you just can't achieve any other way. 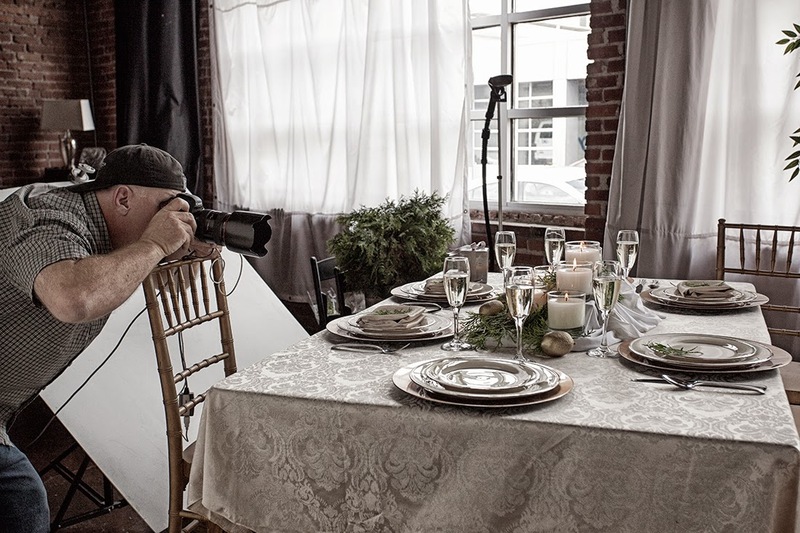 When we designed our studio, we knew we wanted to be able to shoot with natural light. 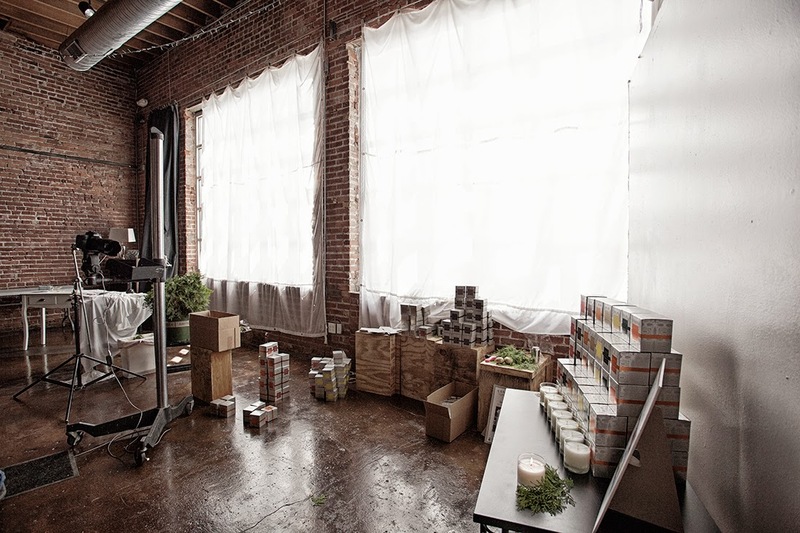 As part of the studio design, we added softening silks and blackout curtains to the windows so we could control the amount of sunlight that comes through to naturally light a set. 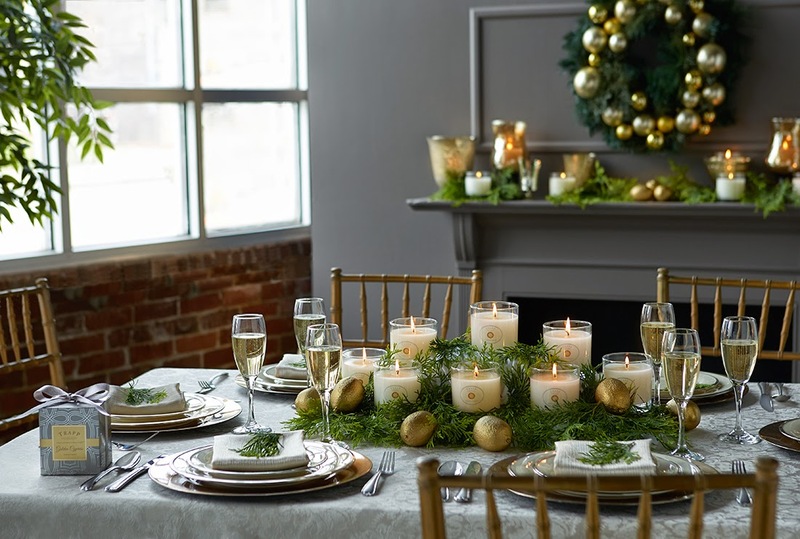 We recently shot a new line of holiday candles for Trapp Candles, one of our amazing, long time clients. On this particular project, we were challenged to illustrate how consumers can use Trapp's products in and around their homes. We were also challenged to show retailers how they can best display Trapp's products and achieve greater sales results. 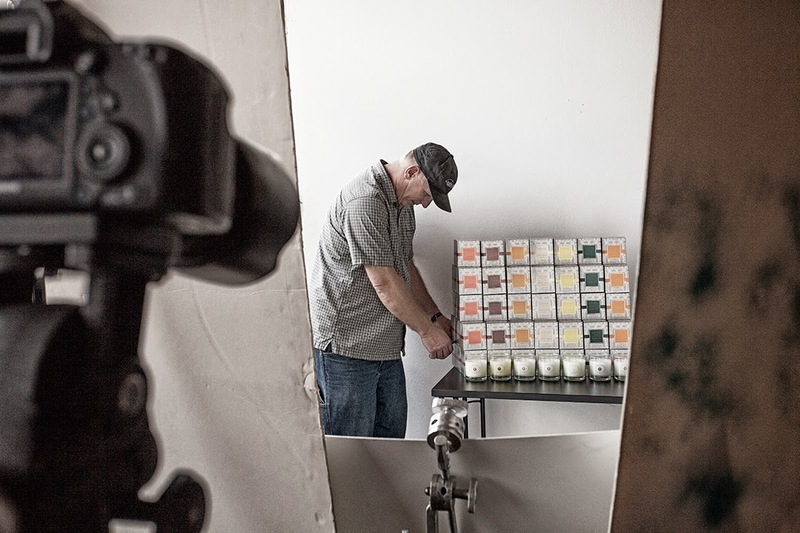 We wanted the light in each shot to look natural like you'd see in your own home or in a retail store window. So we used the softening silks to diffuse the natural sunlight while still highlighting the products and set. 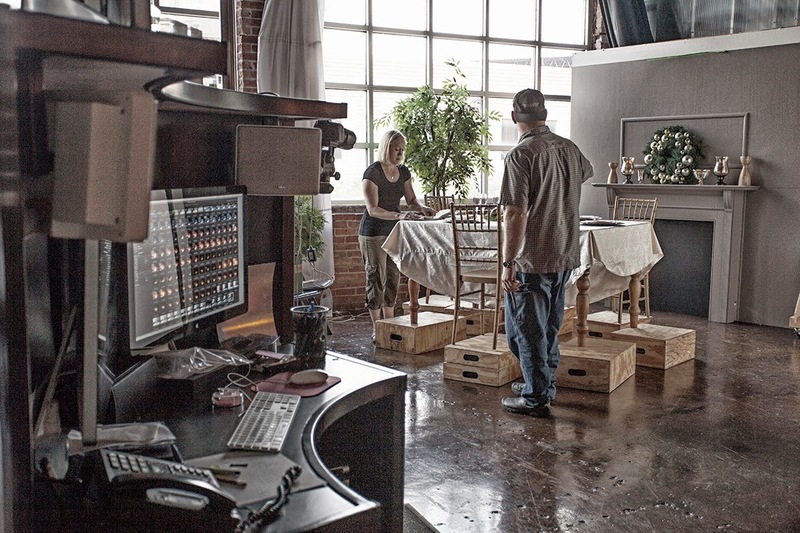 You may look at these behind the scenes images and ask yourself, "Why in the world are the table and chairs on apple boxes?" 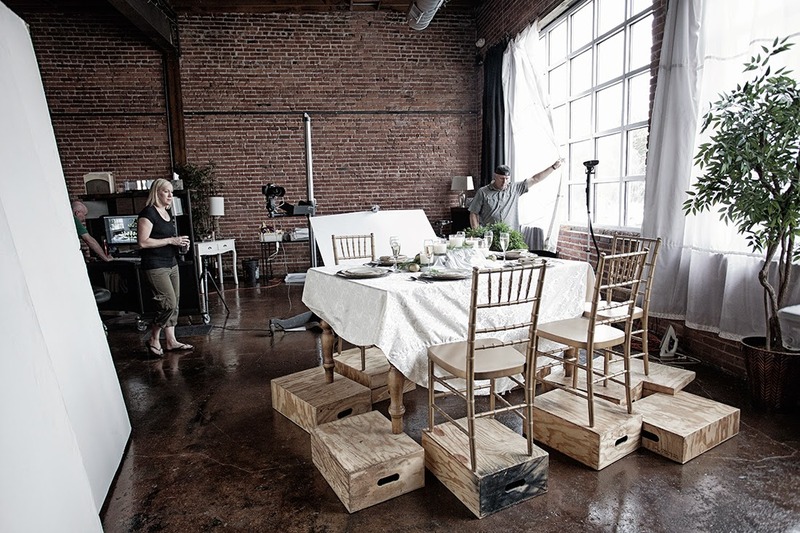 In order to achieve the right perspective between the table, product, and background, we had to raise the table and chairs. If we hadn't done this, we wouldn't have been able to see enough of the fireplace mantel to frame the shot. Just another trick of the trade! 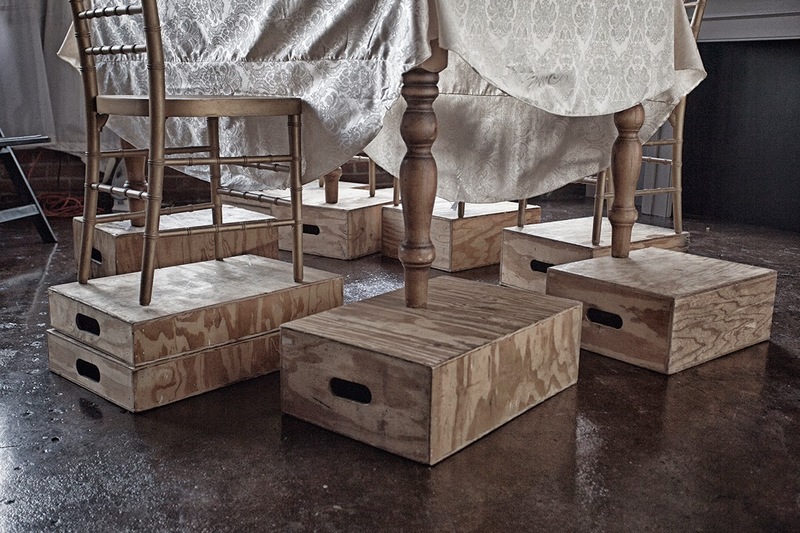 Apple boxes were used to lift the table and chairs. 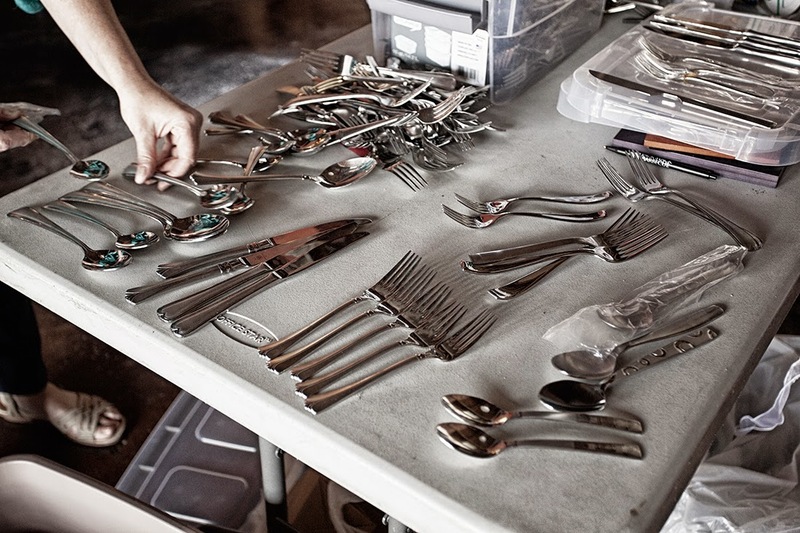 So many silverware options for our dining room table! Adjusting the window silks to control the light on the front of the table. 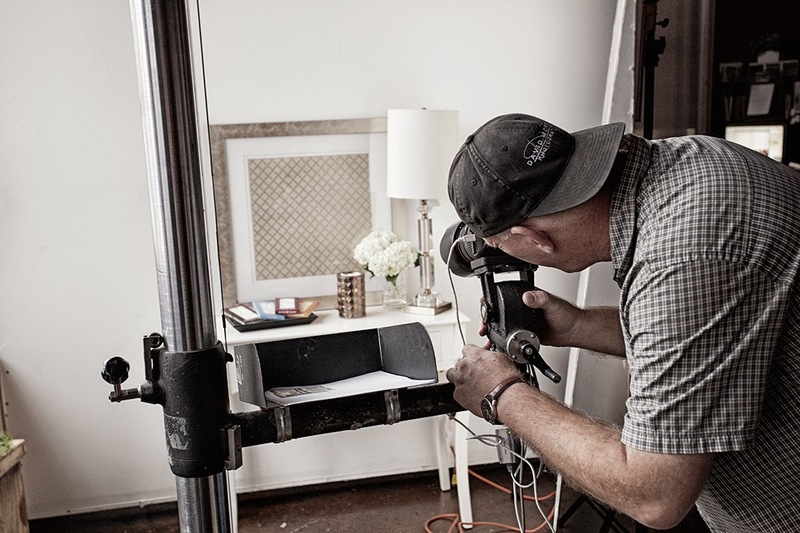 Putting the finishing touches on the set before we shoot the final image. After David completed the main shot, he moved in and captured a few detail shots. Wax and wax melter shot. composed with another image we shot to create the final display image. 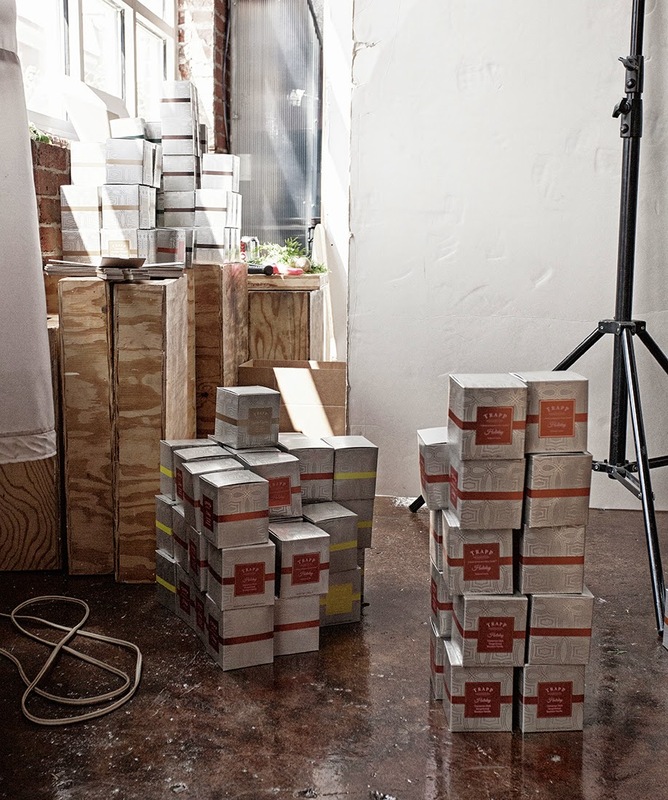 Stacks and stacks of Trapp product! Some of the most difficult items to photograph are made of foil or chrome. 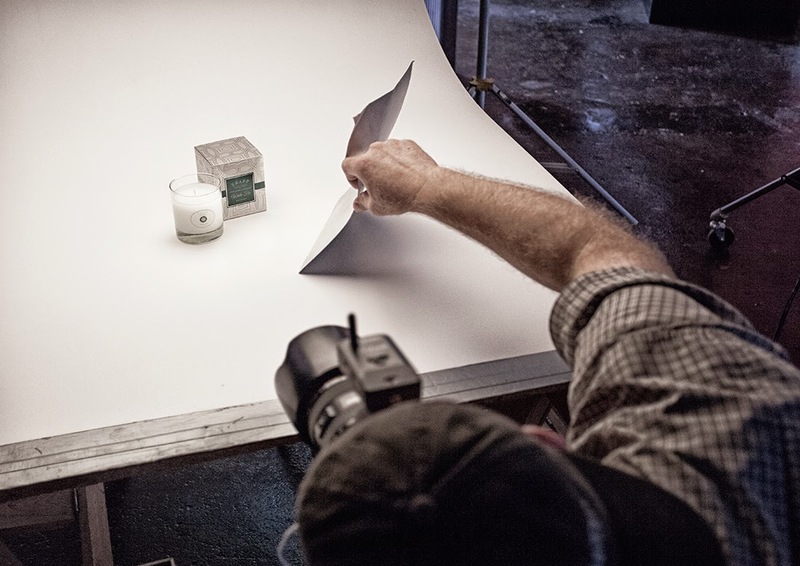 Here, David works to get the lighting just right on the foil product box. 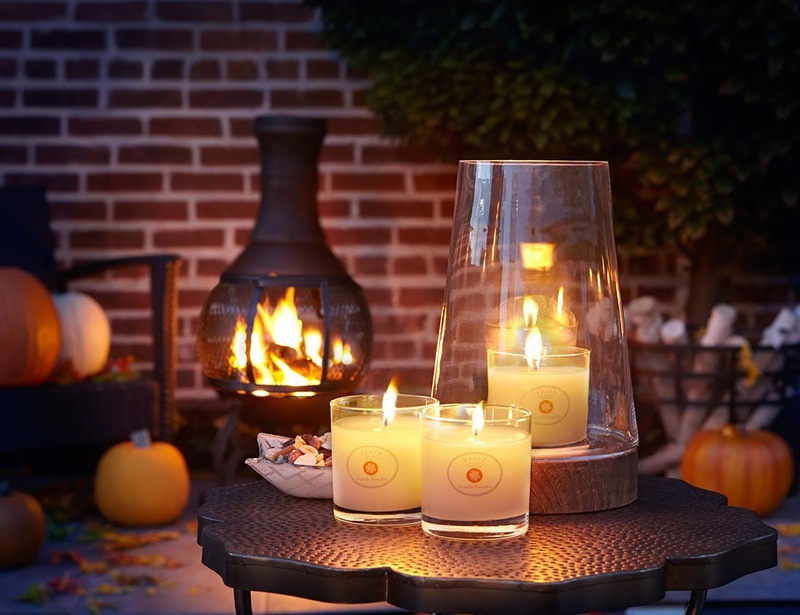 Final fireside pumpkin candle shot.